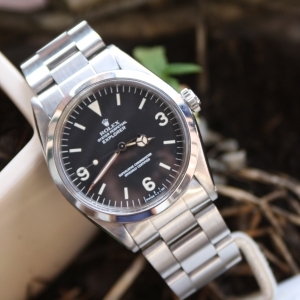 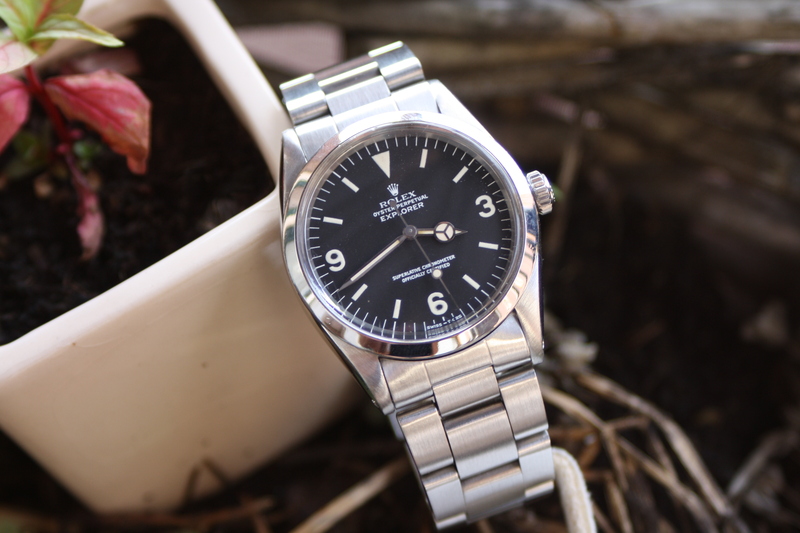 This Rolex Explorer has the reference 1016, with it’s 36mm case, matte dial and plexiglass crystal this is one of the most comfortable vintage explorer watches. The condition of this particular example is very good, the matte tritium dial remains in perfect untouched condition. 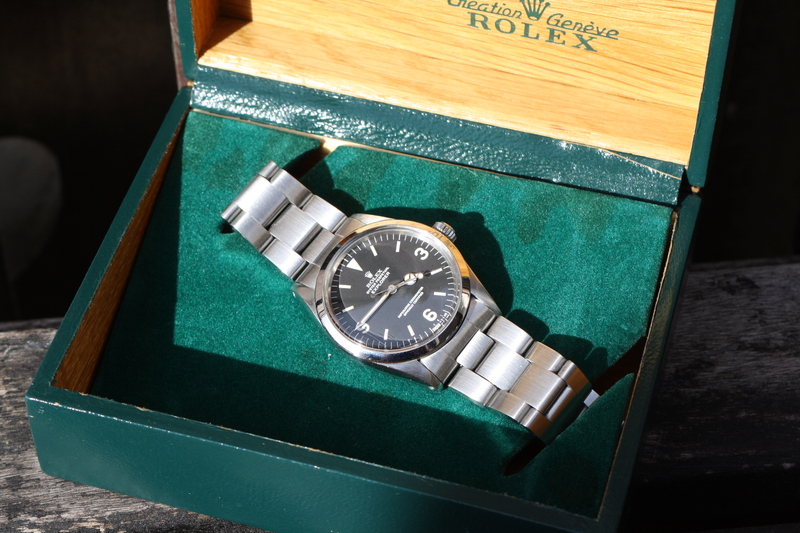 The watch has been serviced twice at the Rolex service centre, with the watch come two service receipts dating 1983 and 2002. 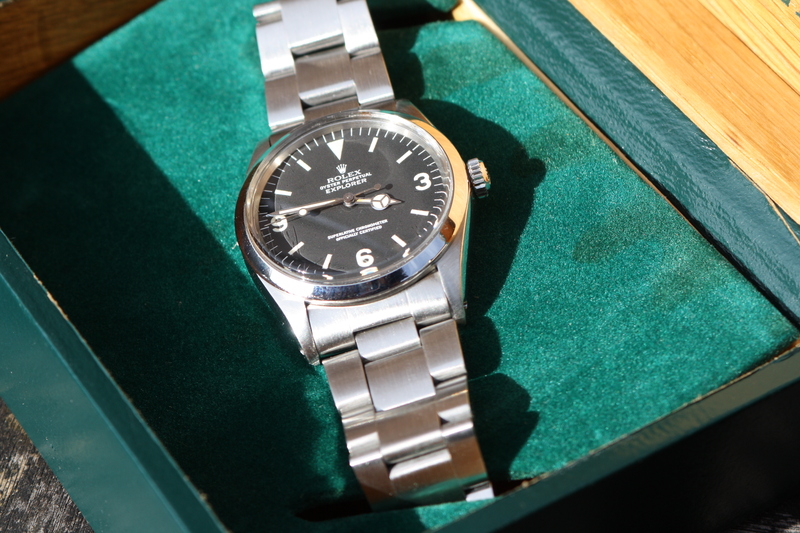 Nothing has been changed at the watch except the bracelet in 1983 and a service plexiglass in 2002. 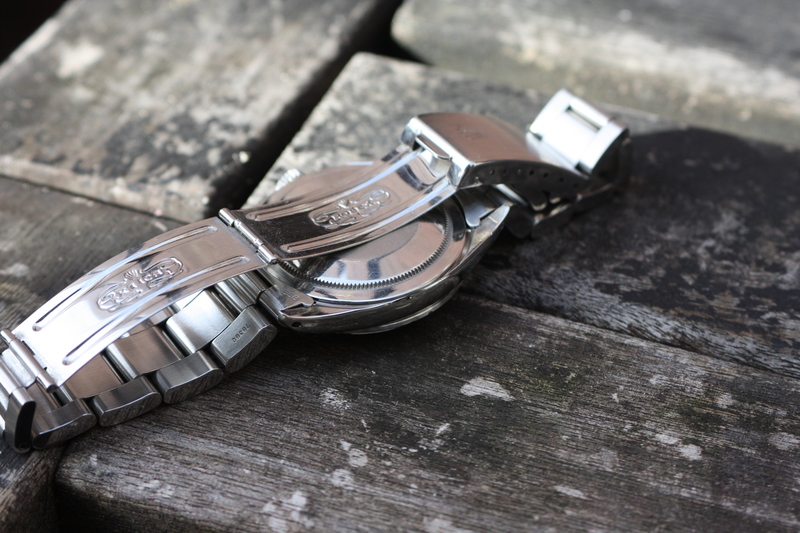 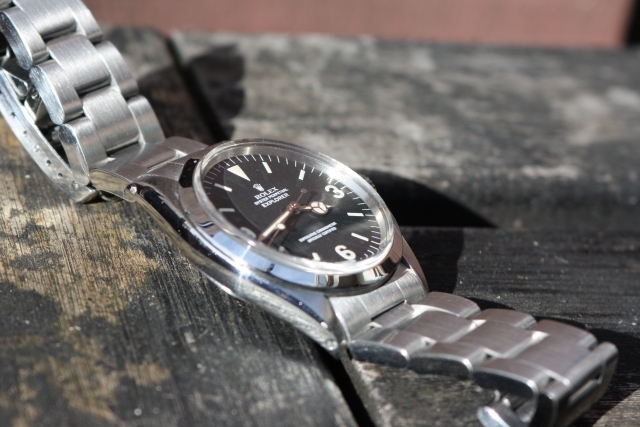 The original tritium hands are untouched and the patina developed a beautiful creamy color. 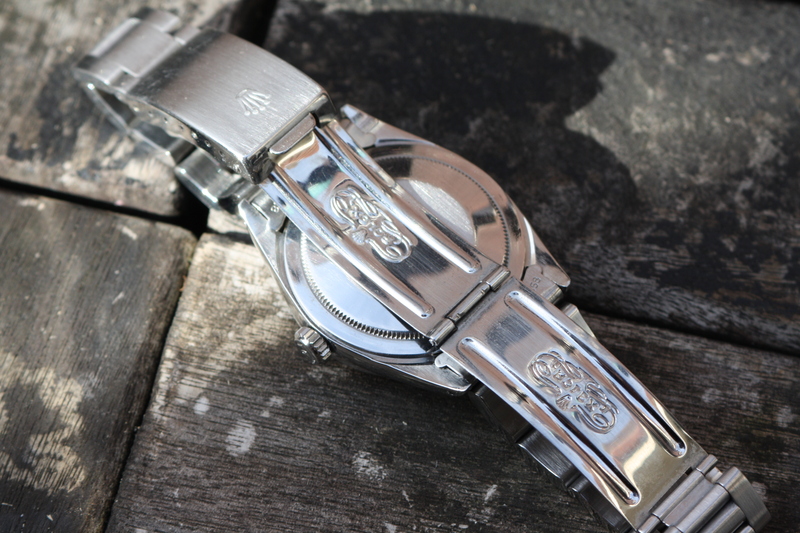 The bracelet shows minimal stretch and comes with all links. 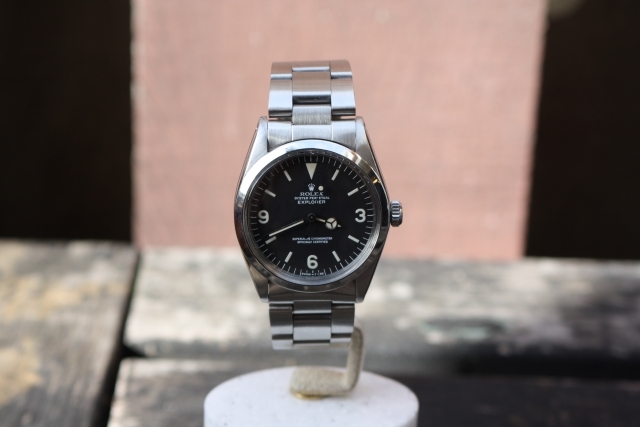 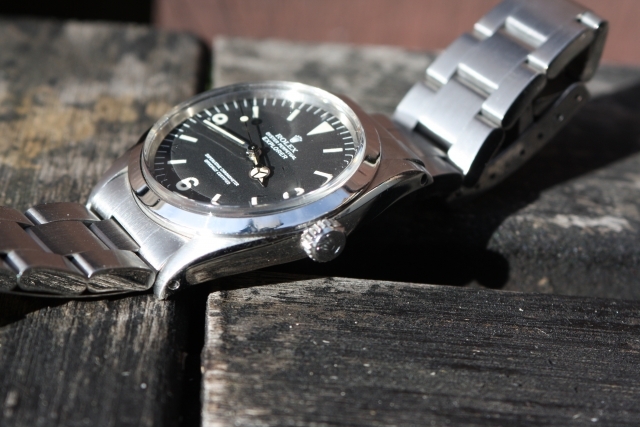 It’s hard to find a 1016 explorer in perfect condition these days, especially with the original dial and hands. Therefore we are very happy to offer this example with a mint condition dial. 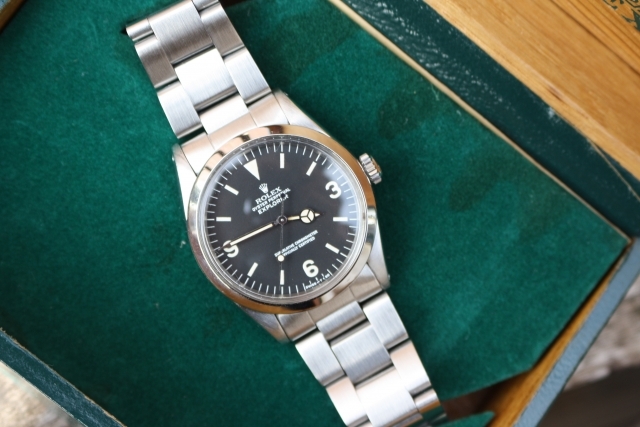 The condition of the case from this rolex 1016 explorer is good, it has been polished at earlier rolex service but still remains in a very decent shape. 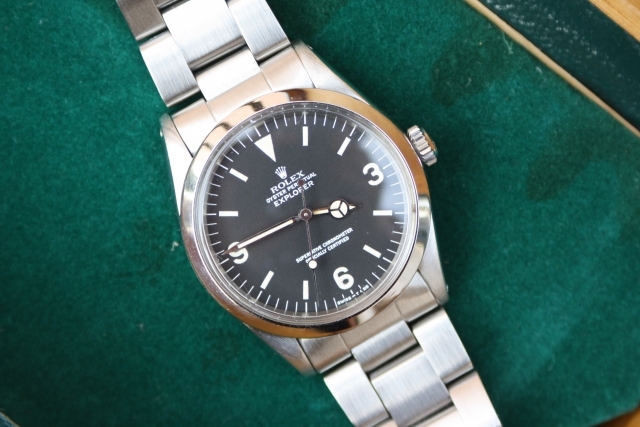 Runs perfectly and comes with 1 year guarantee.